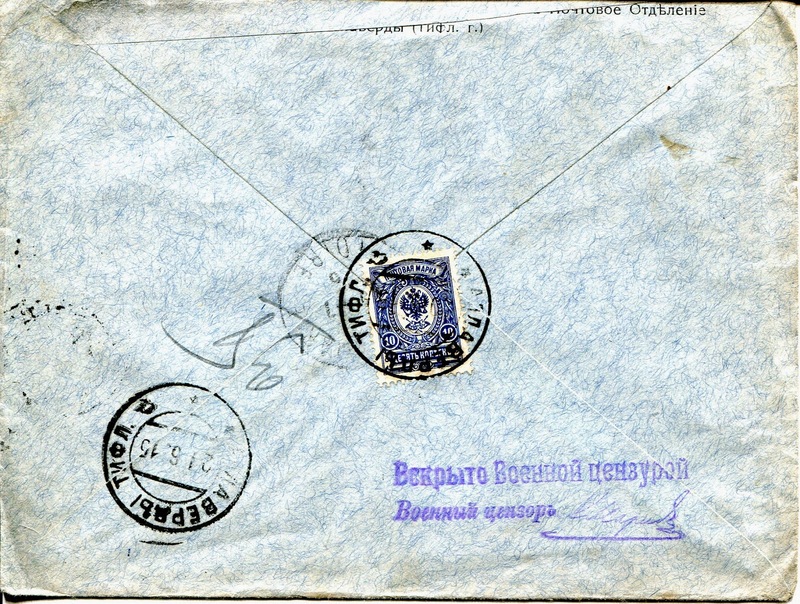 Trevor Pateman's Philately Blog: Allaverdi, Tiflis - Can You Help? 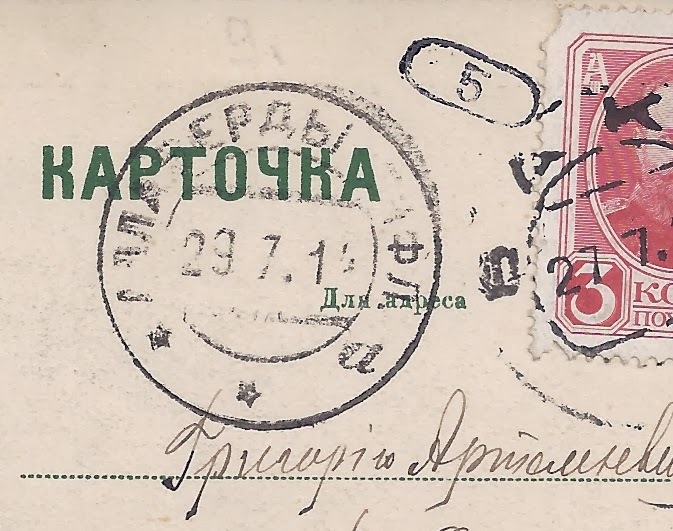 The example above is on a 1914 card from the Peter Ashford collection. 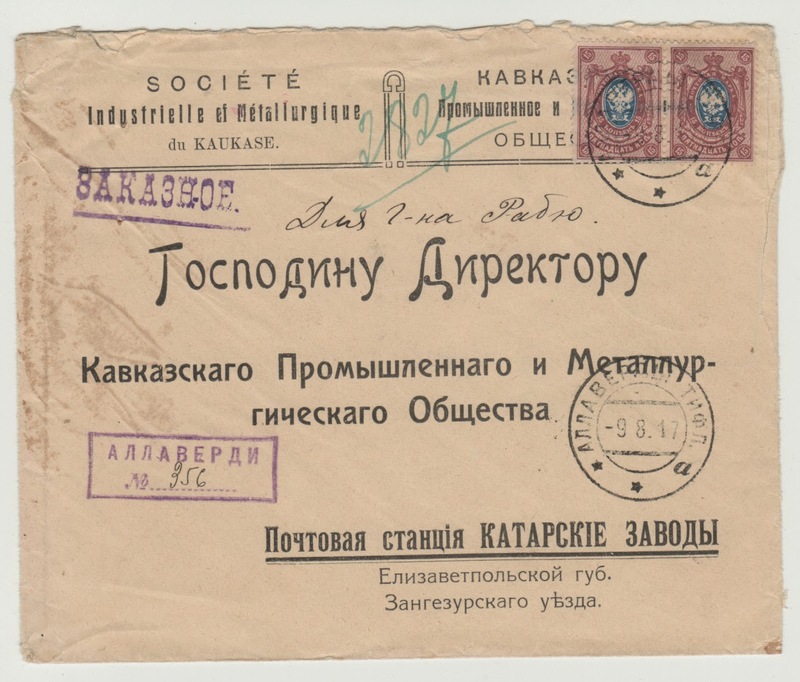 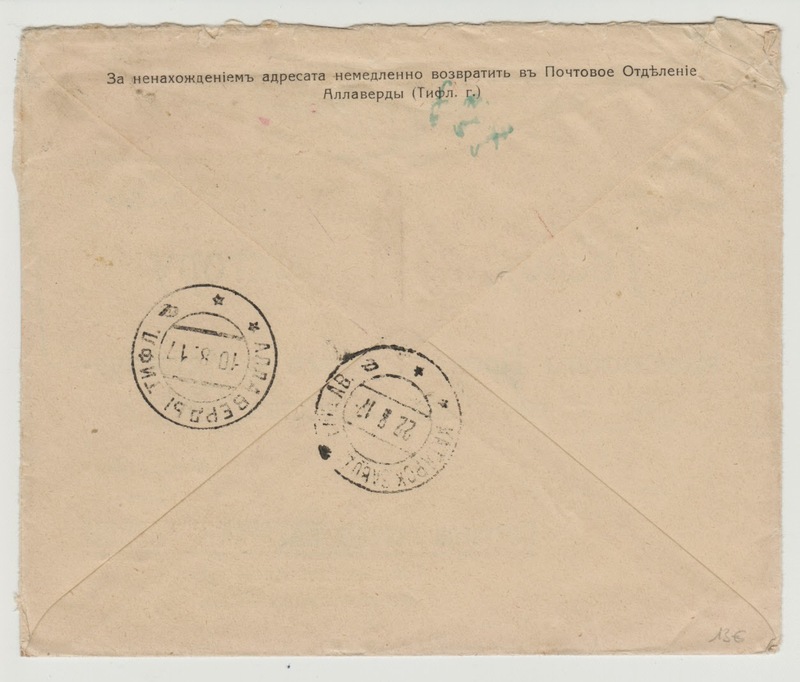 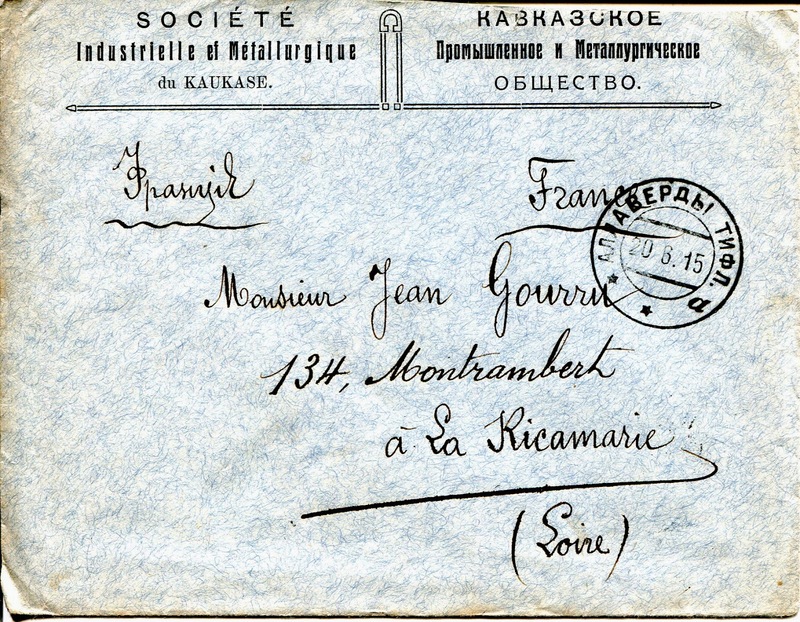 The cover is from the cooper mines at Allaverdi to the copper mines at Katarsky Zavod [ Giriusy, Zangezur]. 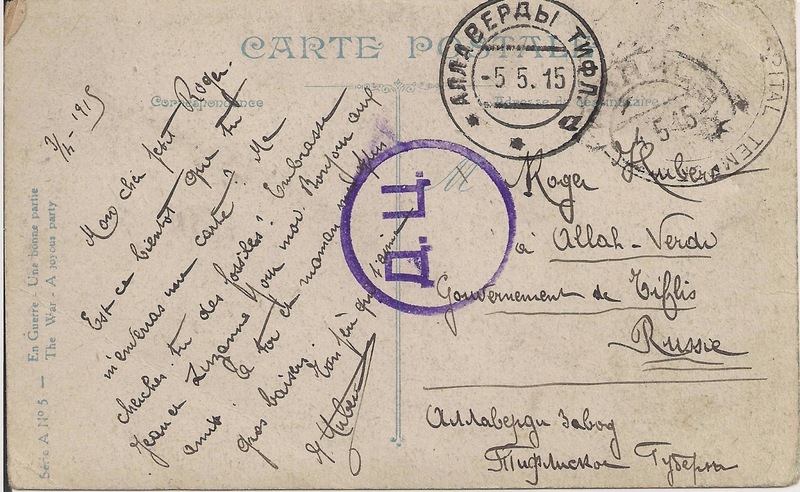 They were both operated by the same Belgian company where the philatelist Gustave Boel worked as a mining engineer.